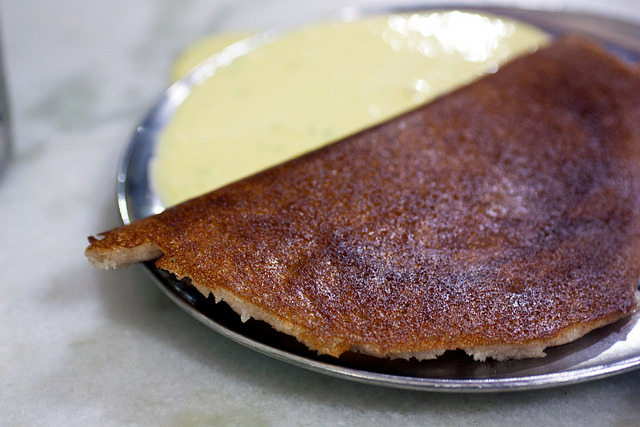 Yes, I ate A LOT of dosas in India, but the best was at Vidyarthi Bhavan, a crowded 70-year-old restaurant in Gandhi Bazaar. There’s a few other items on the menu, but everyone goes for the masala dosa. 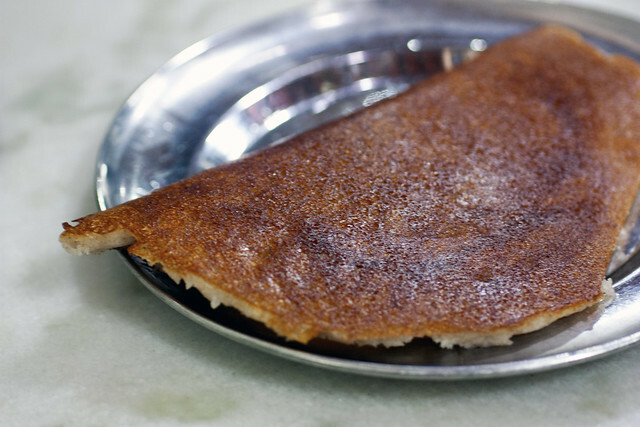 Just grab a seat, put in an order, and in minutes a waiter appears with a stack of more than a dozen plates of crunchy dosas teetering in one arm. The ghee-scented masala dosas at Vidyarthi Bhavan are thick, filled with spiced potatoes, and fried/caramelized dark and crunchy. Gloriously good. And even better when eaten with hot spicy chutney. If you run out, ask for more. It’s free. And if time permits, eat another one. One dosa is less than a US dollar. Yes, dosa heaven.